As another year starts to wind down, you may be noticing places around the house that could use a little sprucing up. Ready to start tearing down walls and interviewing contractors? First, ask yourself these key questions to make sure you’re ready for the work -- and excitement -- to come. Knowing your “why” will help determine important project specifics, like your ideal timeline, what you’re willing to spend and which updates to prioritize. For instance, critical electrical maintenance and structural improvements should come before stylistic upgrades or room additions. It’s rare for your estimated cost to remain static over the course of a home remodel. As a rule of thumb, prepare to spend at least 10 percent more than you originally planned. Also make sure to calculate labor and material costs, permit fees and any necessary increases to your home insurance coverage. Which updates will increase the value of my home? For good reason, kitchen and bathroom remodels make up the majority of home improvement projects. Homeowners who upgraded these spaces saw their home values increase 83 percent and 81 percent, respectively, according to the most recent Houzz and home study. Can I do the work myself or should I hire a professional? Large-scale renovations will require expertise from a contractor, so do some research to ensure you’re hiring the right people for the job. For DIY projects, make sure you’re equipped to do the work safely and won’t make any mistakes that will end up costing you more in the long run. 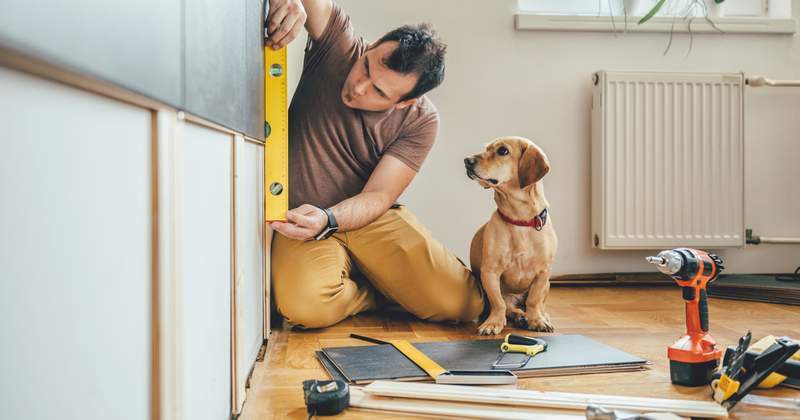 Even small renovations can be a big deal, but asking the right questions up front can help you avoid problems and ensure you’re satisfied with the result. Have questions about how a renovation will affect your coverage? Reach out today.